Brick fans rejoice! 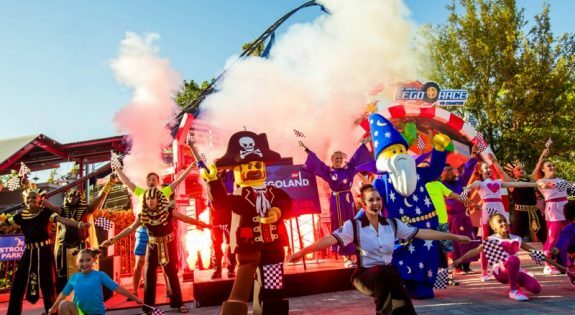 LEGOLAND Florida Resort has debuted a cool new ride with virtual reality (VR) technology that puts YOU in the center of an action-packed road rally. The Great LEGO Race invites guests into a virtual world where they’re the star of a rollicking race against several LEGO Minifigure competitors – all while taking an exciting roller coaster ride. 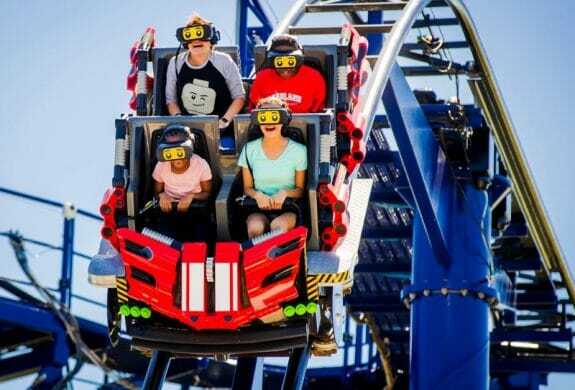 While wearing optional VR headsets guests will experience the point of view of a LEGO race car driver as they ride a roller coaster – experiencing up, down, forward, backward and all the excitement in between. Your adventure begins when you step through the ride’s bold new entry portal. Featuring giant versions of several minifigure racers and their custom LEGO vehicles, the queue has video screens demonstrating the virtual reality experience. When riders board their car sophisticated technology syncs the virtual visuals with the roller coaster’s twists, turns, drops and climbs, creating an all-new experience filled with action and surprises. 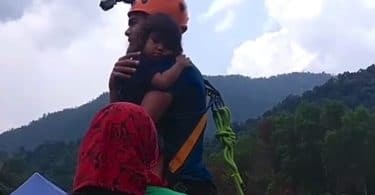 Riders are then pitted against a LEGO pirate, wizard, surfer, trendsetter and pharaoh driving brick-built vehicles like a rocket-powered windsurfing rig, a stylish scooter fueled by espresso and an ornately canopied bed (called a “litter”) carried by mummy servants. While this isn’t the only VR roller coaster in North America, it is the first one for kids. Last year Six Flags debuted Galactic Attack. It is the second such coaster the amusement park giant has introduced in as many years. The first one was SUPERMAN: Ride of Steel in 2016.